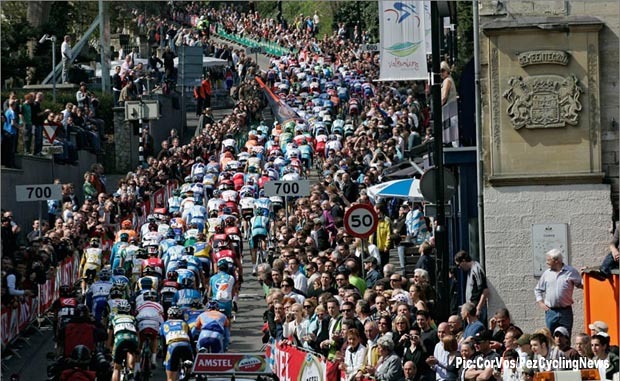 The cobbles are behind us as we move onto the hilly Classics and first up is the Amstel Gold Race. Yes, Holland is mostly flat, but try riding up the Cauberg and say that's not a hill. Our Classics expert, Ed Hood, gives us the benefit of his Amstel experience - the race and the golden liquid. The first three Monuments have come and gone but with just two winners - courtesy Messrs. Degenkolb and Kristoff, surely the men of the year thus far? But it’s time for the Raging Bulls to go out to graze in the sun for a week or two as the smaller and/or skinnier men have their days. 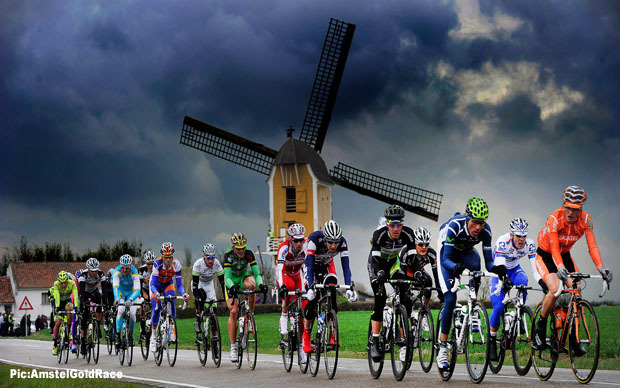 The Amstel Gold is a bit of a baby as far as Classics go; the Primavera goes back to 1907; Flanders to 1913 and Roubaix to 1896. For The Netherlands' biggest bike race it’s a relatively recent 1966; when France’s Jean Stablinski took the honours. This year will be edition 50 of the race that bears the name of Amsterdam’s main river and – of course – the golden beer. 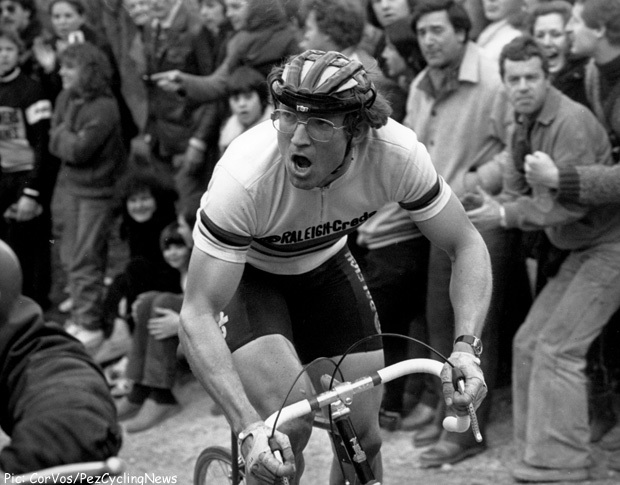 Back in the 70’s the Classics were the Classics and the same names which you’ll see on the roles of honour in the Cobbled Classics can be seen at the Amstel – Belgians Verbeeck, Merckx, Maertens and Breton Hinault are all there. As is home boy and five times winner (a record), Jan Raas, who scored four in a row – ‘The Amstel Gold Raas,’ was the joke of the day. The home riders used to jealously guard victory on their native tarmac; between 1977 and 1991 they only allowed foreigners to slip them three times – Hinault in ’81, Aussie, Phil Anderson in ’83 and Belgium’s forgotten classics star, Eric Van Lancker in ’89. The ‘home boys’ have 17 wins in total the Belgies 12 and the I-talians (as Sean Kelly calls them) six. 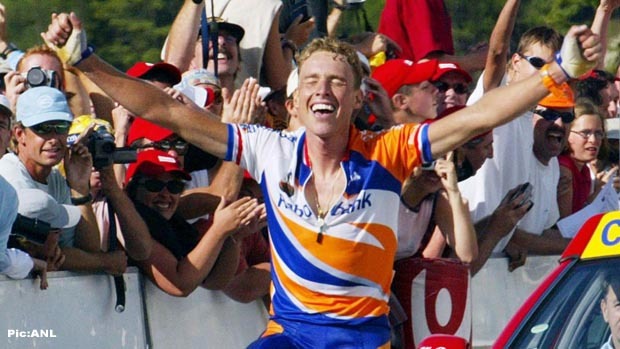 However, perhaps it’s the ‘Mondialisation’ of pro cycling but there hasn’t been a home winner since Erik Dekker in 2001 and Michael Boogerd in 1999 – but ‘Boogie’ did pack in another four second places and two thirds into the next decade. As well as the demise of the home winner, the race has become increasingly the playground of the specialist climbers and powerful, acrobatic riders who can survive the succession of short, steep rises which infest the parcours. Notably, the savage Cauberg ramp, atop which the race concludes – if you can’t climb, you can’t win – it’s that simple. It’s a much more difficult race to pick a winner in than the Primavera, Ronde or Roubaix – few would have picked Ivanov or Gasparotto as potential winners in recent years. Just for a change, we’ll take a wander through the start list, team by team, starting with Astana but bearing in mind that there could be last minute changes to the team line ups. The boys in baby blue have had their trials this year – which can’t be good for morale – but field their usual strong line up including Tour de France winner, Vincenzo Nibali. It’s too early for Nibali to be at his best, that’ll come in July but it’s disrespectful not to mention a man of Nibali’s stature and we’re sure to see him in a move or two. 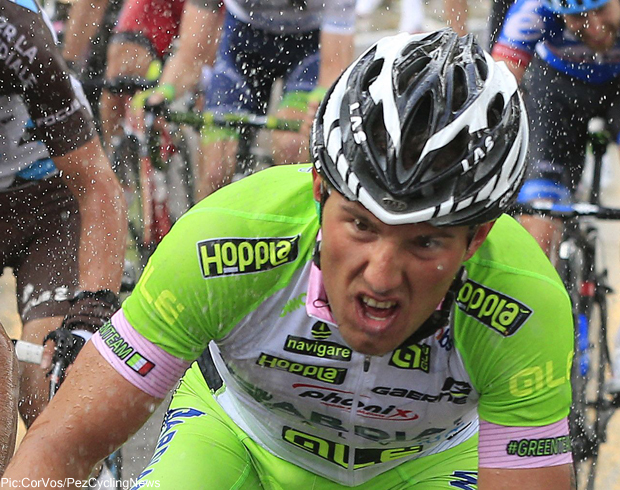 Bardiani-CSF have ‘coming man’ Sonny Colbrelli; he was fifth in the Costa Etruschi but his best since then have been top 20 placings in the Primavera and on the GC in De Panne – but maybe it’s still too early in the year for him? His big 2014 purple patch with wins in the Memorial Pantani, GP Industria & Comerrcio and Coppa Sabatini was late in 2014. 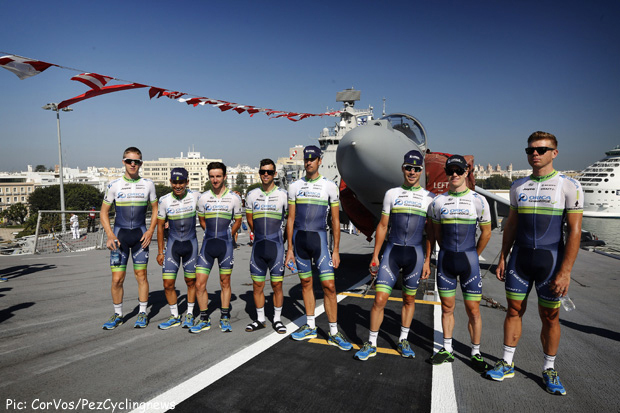 Sonny Colbrelli, could the new boy surprise? 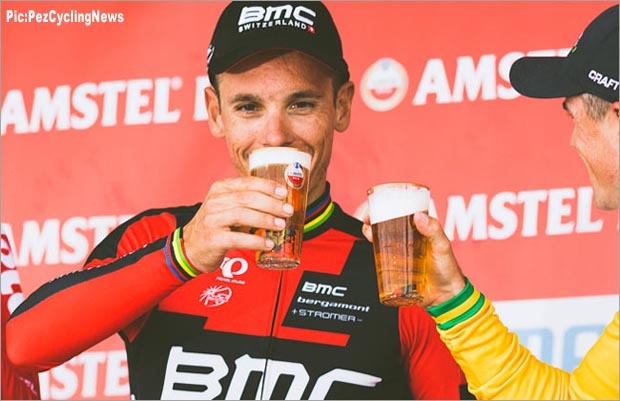 BMC Racing Team will be ‘all for Phil’ – Phil Gilbert that is, current ‘King of the Cauberg’ he won the Worlds on it and he won this race on it, last year for the third time; he could make it four. 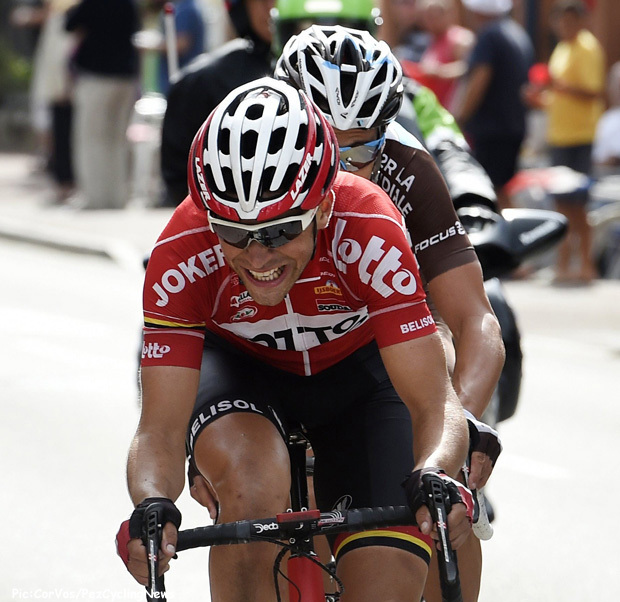 . .
More Amstel for Philippe Gilbert? 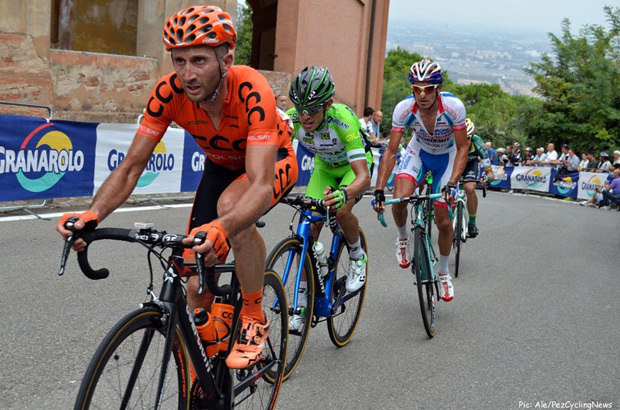 CCC-Sprandi-Polkowice have two previous winners on the start list, Messrs. Rebellin and Schumacher – neither will win this year but Maciej Paterski won a stage in Catalonia and the men in orange are never happy to sit in the peloton. Etixx - Quick-Step: Perhaps the world’s most high profile and glamorous team; no change for 2015 in that they’ve been notching the wins up with a whole variety of riders – here’s the ‘but.’ Their bedrock races, the Ronde and Roubaix eluded them and second places are no use to head honcho Patrick Lefevre. It’s now all down to world champion Michal Kwiatkowski in the Ardennes races; he can deliver and whilst the pressure and marking will be intense – he’ll be there. Lotto Soudal: Belgium’s ‘second team’ have been battling hard this spring with a huge increase in their World Tour points total at this stage of the season over 2014. 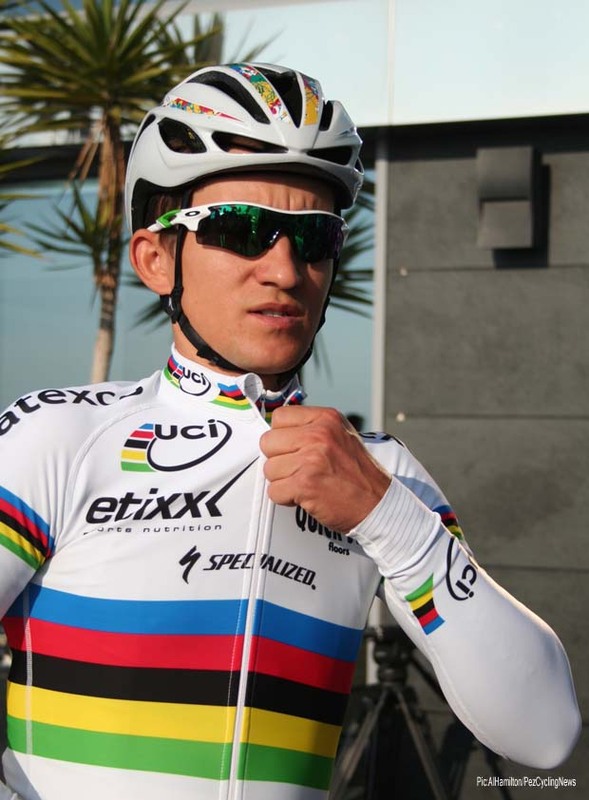 Tony Gallopin rode a great Paris-Nice and his aggression and cavalier spirit are ideally suited to this race whilst Tim Wellens, one of the ‘new wave’ of Belgian riders is another who’ll be out to impress. Movistar: The ‘Telephone Team’ keep racking up the wins – aggressive, well organised, packed with talent, it’s all a pro team should be and in Alejandro Valverde they have a potential winner – he’s raised four bouquets this year already and could well be on the podium on Sunday. Orica-GreenEDGE: Is it too much to expect Simon Gerrans to come back from injury with a podium in one of his favourite races? Probably – but those Antipodeans will be in the breaks. 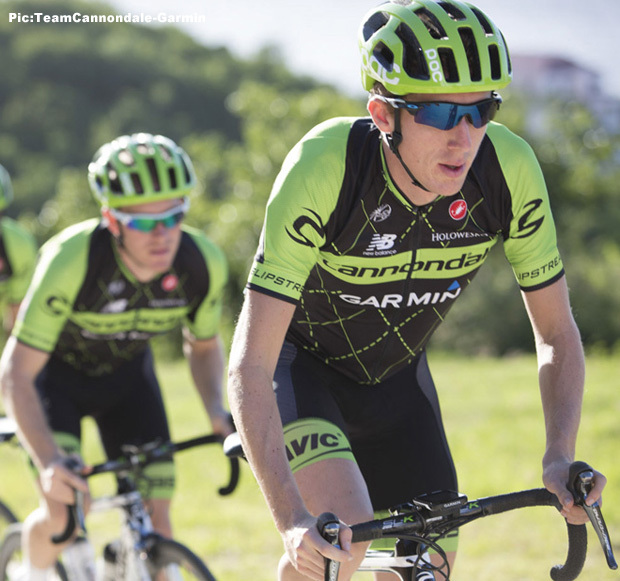 Team Cannondale-Garmin: In Dan Martin they have a former Liege-Bastogne-Liege winner; he’ll be looking to repeat that feat and will be testing his form here in Limburg. 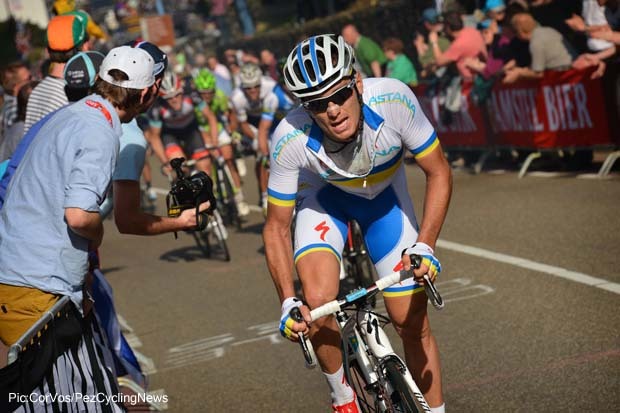 Ramunas Navardauskus cheered team boss JV up with an overall win in the Circuit de la Sarthe but they need a biggie. They don’t have the pressure of a rabid Belgian Media that Etixx - Quick-Step do - but Cannondale need to sell bicycles and nothing does that more effectively than your riders winning a Classic. 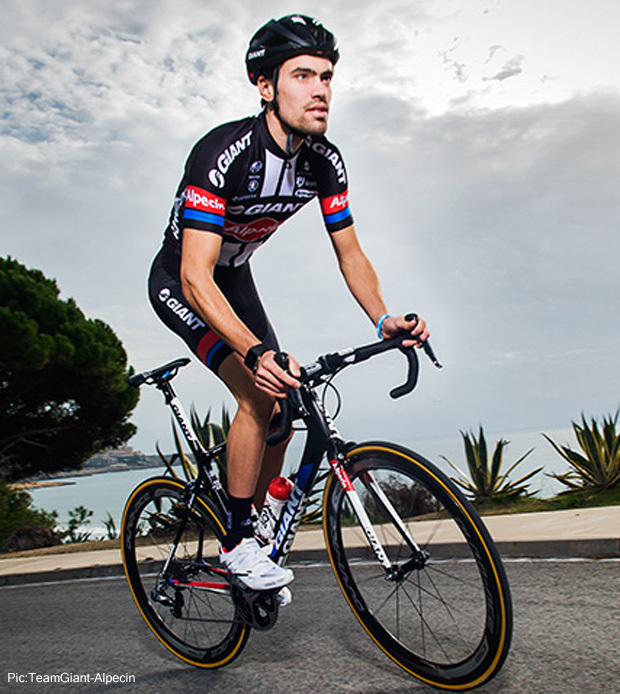 Team Giant-Alpecin: As a predominantly ‘home boys’ team, the spotlight is on them and in Tom Dumoulin they have a man on form – witness his win in the time trial stage of the Pais Vasco. He’s a big guy but was able to beat some of the best climbers in the world on a highly technical and hilly parcours – he’ll be there. Team Katusha: There was a day when we’d have nominated Alexandr Kolobnev as a potential winner – but not now. However, their Joaquin Rodriguez is on fire with a brilliant Pais Vasco - the GC and two stage wins; but despite all those climbs maybe they’re not quite steep and/or long enough for the tiny Catalan? 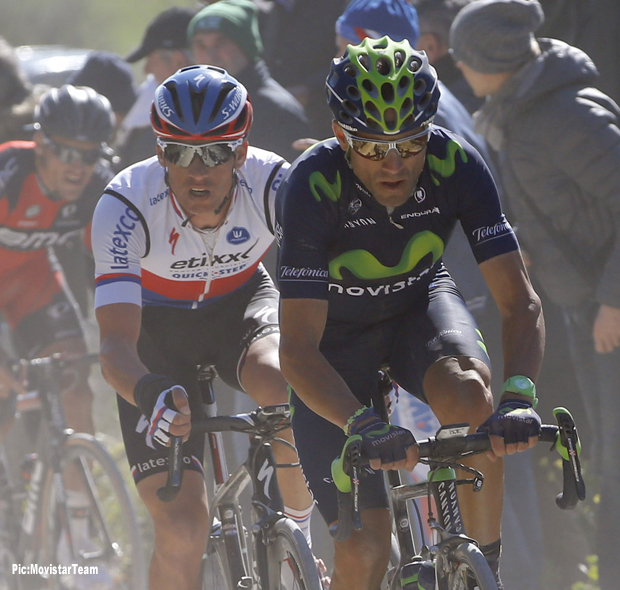 'Purito' is in form, but is Amstel hard enough for him? Team LottoNL-Jumbo: The Netherlands World Tour team have Wilco Kelderman as their main man – is top ten in the Pais Vasco and Limburg Classic enough of a ‘sign’ to indicate he can make the Amstel podium? Probably not and the Dutch Media won’t like it. 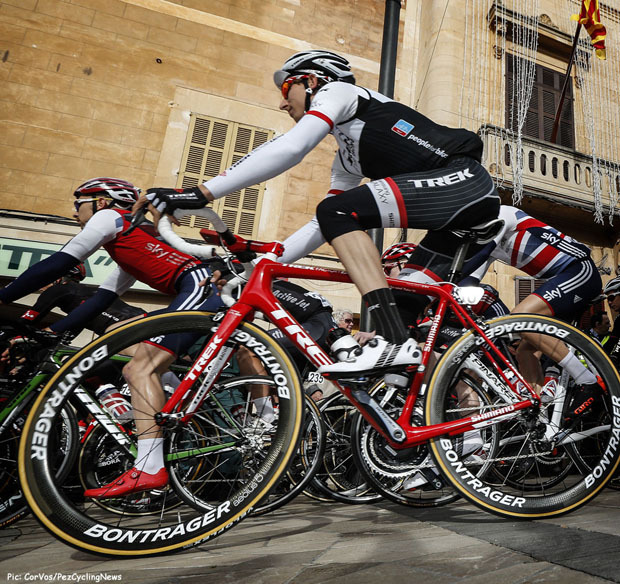 Kelderman; is he good enough? Team Sky: The mighty Murdoch machine had a good spring with wins in Het Nieuwsblad and the E3 but underwhelmed in the Monuments. Their attention now will turn to the Giro and Richie Porte’s victory bid but in Wout Poels they have a man who’ll be highly motivated to perform on home soil – and don’t forget his Tirreno stage win. . . 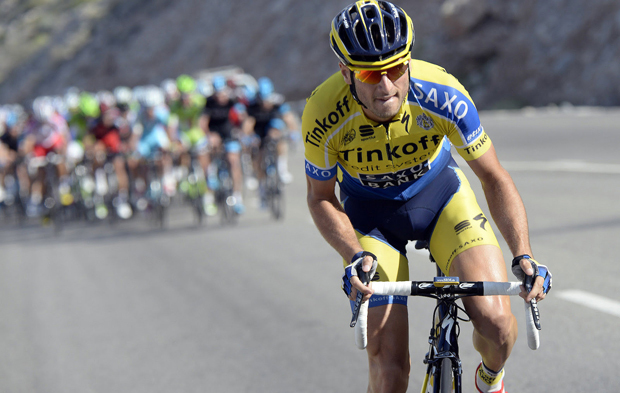 Team Tinkoff-Saxo: In Czech Roman Kreuziger they have a past winner but a repeat win is unlikely. The team’s morale cannot be anything but poor after Bjarne Riis’s dismissal and a solid but far from brilliant spring for their star man, Peter Sagan. Their climbing star Rafa Majka has been dogged by illness thus far, this spring; but one bright spot is the emergence of Manuele Boaro – a top ten is well possible. Trek: Have in Bauke Mollema a genuine home contender for victory; he was a brilliant second overall in Tirreno and rode a strong Pais Vasco but a crash did for his chances there and he skipped the closing time trial to prepare specifically for the Ardennes races. He was top ten last year and could make the podium this year. Bauke Mollema, podium this year? Wanty-Groupe Gobert: Pro Continentals Wanty never show any fear of teams with ten times their budgets and as a previous winner and top ten finisher last year, Enrico Gasparotto will be out to protect his reputation. For live TV coverage go to Steephill.tv.